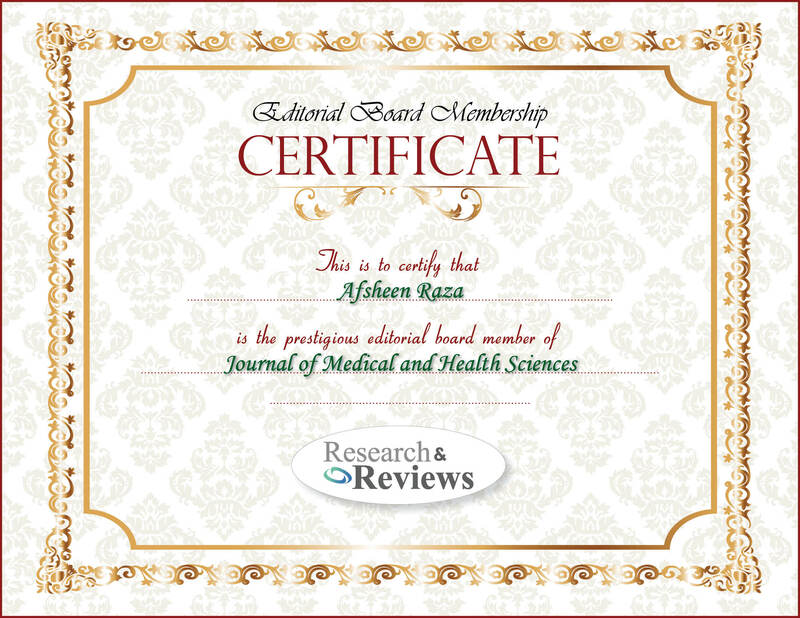 Afsheen Raza is a research scientist at National Center for Cancer Care and Research (NCCCR), Hamad Medical Corporation, Doha, Qatar. She was Head of Molecular Laboratory and Associate Consultant of Molecular Biology in The Indus Hospital, Karachi from January 2015 – Nov 2015. She has also worked as Adjunct Assistant Professor of Microbiology at Dadabhoy Institute of Higher Education. She had received her PhD from The Aga Khan University in 2013. She has various research as well as clinical experience. She also has various publications and academic awards.